In order to prevent email spoofing, we have removed board member emails from this page. If you would like to contact a board member, email Lee Helgen or please use the members only directory. Thank you. Experience: With more than 18 years’ experience, Bryan Balcome is a vice president in the firm and serves as land survey coordinator for Widseth Smith Nolting & Assoc., Inc.’s eight offices. Balcome assists and advises the office managers and survey department heads by providing leadership, estimating and scheduling, staffing, and technical resources necessary for overall project success. Education: Associate of Science, Civil Engineering Technology, Rochester Community College, 1995. Employment History: 18 years of land survey experience: 2006–present, Widseth Smith Nolting & Assoc., Inc.; 2003–2006, John Oliver & Associates, Inc.; 2000–2003, Aerometric; 1999–2000, Olmsted County; 1997–1999, Goodhue County; 1995–1997, Fangman Land Surveying. Licensure: Professional Land Surveyor: Minnesota (Lic. No. 42594), North Dakota (Lic. No. LS-4897), South Dakota (Lic. No. 7708), Wisconsin (Lic. No. 2599-8), Iowa (Lic. No. 17677), Nebraska (Lic. No. 746). Professional Activities: 1995–present, Member, MSPS; 2003–present, Member, MSPS Central Lakes Chapter 5; 2011–present, member, WSLS; 2012–present, member, NSPS. Currently serving as Vice President of MSPS Chapter 5 and has served as Secretary / Treasurer of MSPS Chapter 5. Community Activities: 2007–present, Boy Scout Troop 496 / Cub Scout Pack 496 Den 4 Leader; 2008–present, member, Alexandria Kiwanis (president, 2012). Awards: 2011, MSPS Wm. S. Kelley, Jr., Community Service Award Recipient; 2008, Prairie Business Magazine “40 under 40,” recognizing 40 leaders under the age of 40. Patrick Veraguth has been the Douglas County Surveyor since 2013 and Winona County Surveyor since 1999 and worked for Winona County since 1993. He was instrumental in resurrecting the remonumentation process in Winona County after the county went 60 years without a County Surveyor. Veraguth owned and worked privately for Veraguth Land Surveying in Galesville, Wisconsin. He is licensed in Wisconsin and Minnesota as a Land Surveyor. Patrick graduated with a BS in Agricultural Engineering from UW – River Falls, and attended Clinton McLagan’s Land Survey Class’s at Inver Hills Community College. Veraguth is a current member of Chapter 5 and has been Secretary/Treasurer, Vice- President and President of Chapter 3, member and a past board member of MSPS; serves on the MSPS Historical Committee, member, past Director and president (2006 and 2017) and current Past President of MACS; Member and past President of Western Wisconsin Chapter Land Surveyors; Member of NSPS. In addition to the professional surveying organizations Veraguth has also been a member of the UW – River Falls Football team (1987 – 1991); a Wrestling and Football coach of Galesville Middle School and Youth programs. He is currently a member of the full choir at the Bethesda Lutheran Church in Alexandria. He has also president elect at Bethesda Lutheran Church. Veraguth has a wife of 25 years, Teresa, and 3 sons, Alexander,24; T.J., 23 and Gunnar, 16. Chris Mavis currently serves as the Hennepin County Surveyor. 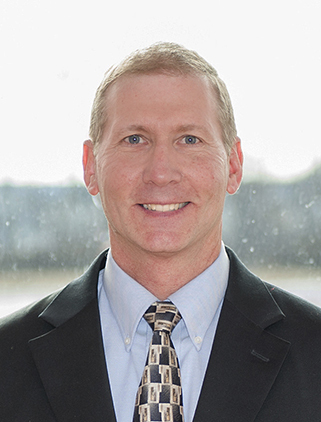 Chris’ land surveying career began in 1990 at Widseth Smith Nolting in Brainerd, MN. He has also held surveying and spatial data management positions at Washington County, the City of Inver Grove Heights, Short Elliott Hendrickson and Esri. He earned his B.E.S Degree in Geography from St Cloud State University, with additional land surveying coursework at Inver Hills Community College. Mr. Mavis is a current member of MSPS and is involved with the MSPS Events Committee. He is also a member and past president of Capitol Area Land Surveyors Association, is a member of the MnDOT Survey Technical Workshop planning committee, and serves on a variety of Hennepin County Committees. Education: Bachelor’s degree in Mathematics from College of St. Benedict; Land Surveying coursework from St. Cloud State University & St. Paul College; Master’s degree in Infrastructure Systems Engineering from University of Minnesota. Current Position: Minnesota Department of Transportation (MnDOT) Assistant Director of Land Management, Right of Way, St. Paul. Employment History: URS Incorporated, Minneapolis; RLK Incorporated, Minnetonka; John Oliver & Associates, Brooklyn Park & Elk River; MnDOT District 1 Land Surveyor, Duluth; MnDOT District 6 Assistant Right of Way Supervisor, Rochester; MnDOT Central Office Project Coordination Supervisor, St. Paul. Marcus Hampton has been working in the surveying profession since the turn of the century. During this time, he has been volunteering time to the surveying community at both the state and local levels. Marcus is a past Director of MSPS and is currently Treasurer of Chapter 6. Additionally, he is on the Events Committee of MSPS and within Chapter 6, is a past president, has served on Summer Meeting planning committees, has coordinated local TrigStar competitions, and has been a counselor for the Boy Scouts of America Land Surveying Merit Badge. Marcus has also been heavily involved in the development of the Young Surveyors networks for MSPS, NSPS, and FIG (North America). Marcus is a graduate of St. Cloud State University, is licensed to practice in Minnesota, Montana, North Dakota, South Dakota, and Wisconsin, and holds a Certified Federal Surveyor (CFedS) certificate. He is currently Vice President at James R. Hill, Inc. in Burnsville. Chris Ambourn has been working in the surveying profession for 20 years, a journey which has taken him and his family from Wisconsin, to Michigan, back to Minnesota, to Alaska, back to Minnesota, to South Dakota and once again back to Minnesota… from where he vows to never leave again. Having been exposed to such a diverse breadth of experiences, personalities, geographies, as well as, importantly, a 3 year reintroduction to the field, has given him a unique perspective on the surveying profession and the way that we survey here in both the metro and greater Minnesota. Chris has a bachelor’s degree in Surveying from Michigan Tech, is licensed in MN, WI, ND, SD and WY and served as NSPS Governor from 2010-2012 during which he provided a strong voice in important national issues such as the 100% membership transition. He believes strongly that the land surveying profession is in the midst of monumental transition and that strong leaders and action are needed to maintain and strengthen the role that we play in society. Public relations, youth outreach, positive cooperation within the geospatial industry and proactive and progressive legislative action are the top priorities that he will pursue both nationally and within MSPS. Chris is currently a survey manager at Wenck Associates where he supervises and conducts much of their surveying throughout the Midwest. He lives in Maplewood with his wife, son and daughter and in his spare time he enjoys coaching baseball and softball, and spending time in the outdoors, hunting, fishing and lounging. Employment: Currently with MSA Professional Services as a Senior Project Surveyor with almost 20 years of experience. Curt has been a project manager responsible for field and office operations of municipal and private surveying services for almost two decades. His experience includes performing construction, topographic, America Land Title Association (A.L.T.A.) and cadastral surveys. As a professional land surveyor he is responsible for the supervision of field crews working on many forms of control, boundary and construction surveys for county, municipal, commercial, industrial and residential projects. He is also responsible for project scheduling and coordination from preliminary field surveys to final drawings. Employment: Mark Severtson has more than 38 years of land surveying experience and has been licensed as a Professional Land Surveyor for 29 years. 2017-Present, Olmsted County Surveyor; 2013-2017, WSB & Associates, Rochester, MN; 1979-2013, McGhie & Betts, Rochester, MN. Education: Associate of Arts in Civil Engineering Technology from Rochester Community College, with additional land surveying coursework at Inver Hills Community College. Surveying instructor at Rochester Community College. Memberships: NSPS, MSPS, MSPS Chapter 3, RCTC Foundation Board. Licensure: Professional Land Surveyor in Minnesota, Wisconsin and North Dakota. With over 20 years of experience in the land surveying profession, Chad currently serves as the manager of the survey department for Widseth Smith Nolting’s Baxter office. He began his career working on a field crew performing various types of surveys and was also for many of Widseth Smith Nolting’s construction staking projects. As the Baxter land survey department manager, Chad is responsible for supervision of the field and office staff, scheduling, estimating, client development and quality control. Academic Background: Diploma, Civil Engineering Technology, St. Cloud Technical and Community College. Bachelor of Science Degree, Land Surveying and Mapping, St. Cloud State University. Preston began his land surveying career in 1998 in the private sector. He worked on a variety of projects ranging from construction surveys to ALTA Land Title Surveys to Public Land Survey System corner restoration surveys. In 2011 he transitioned to the government sector and is currently employed as a Deputy County Land Surveyor in St. Louis County. He focuses on restoring the Public Land Survey System in St. Louis County, improving access to survey records and integrating surveying into a variety of county functions. 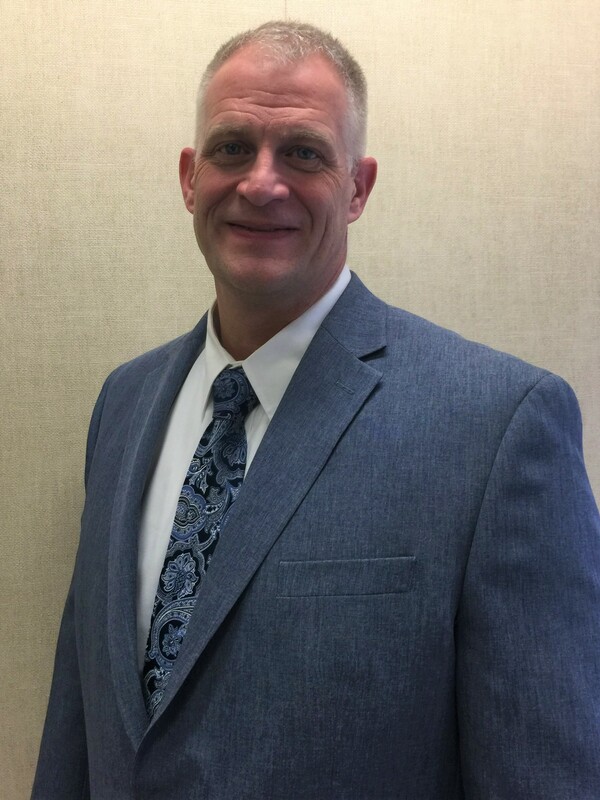 Preston holds a Bachelor of Science degree in Business Management from Cardinal Stritch University as well as an Associate of Applied Science in Civil Engineering and Technology from St. Paul Technical College. Preston is an active member of MSPS where he is the past chair of the Events Committee. He is also the secretary/treasurer for Chapter 4. He is active in the Minnesota Association of County Surveyors and the Minnesota GIS/LIS Consortium. He has completed numerous presentations on a variety of surveying topics. Preston also serves on the Minnesota Geospatial Advisory Council where he represents rural county governments. In 2016 Preston was the recipient of the E.A “Bud” Rathbun Award of Merit for the Advancement of the Profession of Land Surveying from the Minnesota Society of Professional Surveyors. He also won awards for drafting in 2002 and 2004. He is active in his community where he is a volunteer firefighter and EMT. Virginia is a professional land surveyor at Westwood. She leads the power survey team in the Minneapolis office and manages projects with multiple Westwood offices and clients. Virginia has worked for 13 years in the surveying profession and is licensed in Minnesota and Virginia.